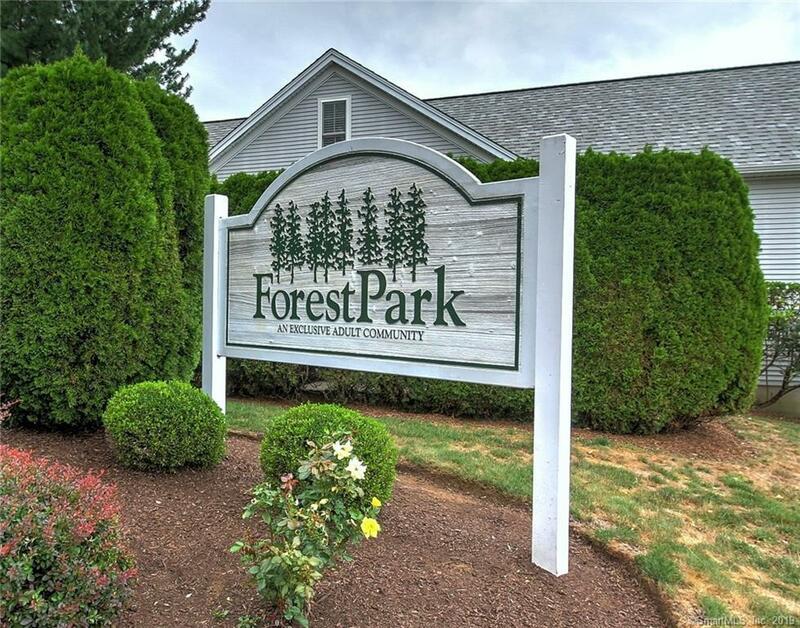 WELCOME HOME to the highly sought after Forest Park 55+ Community! This lovingly maintained, single owner residence offers an open floor plan and one car attached garage. The sun filled living room features soaring cathedral ceilings and the spacious first floor master bedroom suite includes two closets and full bath. An additional half bath with full laundry is also located on main level. The 2nd floor offers an oversized loft for use as second bedroom, office, or family room with large walk in closet and full bath. Storage galore in walk up attic, full basement and garage. Amenities include central air, gas heat and security system. Well managed complex offers a pool, clubhouse and visitor parking. Convenient to restaurants, shopping, beaches, train station, bus line and all major highways. Nothing left to do but move in!, Owner paid special assessment in full.